The life of young African-Americans in poor urban neighborhoods can be more difficult than their middle class Caucasian or African -American counterparts know. Violence and drugs are key components. Parental supervision is often lacking. For African-American girls, circumstances conspire to keep them mired in an ugly cycle. 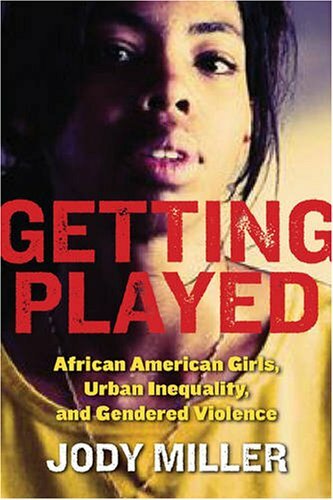 University of Missouri criminologist Jody Miller has done extensive research into the circumstances that lead so many of these young women into the trap of that cycle which she detailed in her book Getting Played: African American Girls, Urban Inequality and Gendered Violence.